The Academy of Fine Arts proudly presents the 2nd annual Youth Downtown Art Crawl and Reception. 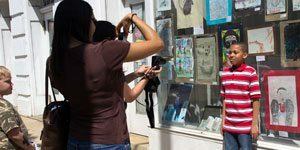 The exhibit of pieces from Lynchburg City School Students will be on display in downtown businesses during the month of March. A reception to honor these students will take place March 16th at the Academy of Fine Arts. 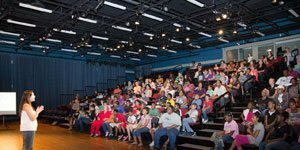 Join the Academy for FREE family programming, made possible by The Greater Lynchburg Community Trust! Select classes and exhibits are offered various Saturdays throughout the year. “Click for more” below to see a list of free programming coming up soon. Note: You must pre-register for classes. 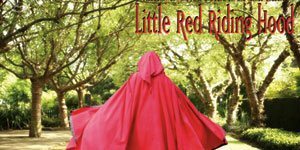 The Academy of Fine Arts and Opera on the James proudly present a family-friendly performance of Little Red Riding Hood, Saturday, March 23rd. The Academy has offered arts classes and in some cases theatre and songwriting classes free of charge to various area schools both at the schools and in our studios every year since opening in 2004. Onsite the 2012-13 school year has included a class in the pottery studio for Holy Cross High School students, glazing sessions for pottery students from CVCC and VES, a visit from Pittsylvania County preschool students, and an upcoming class for Otter River Elementary second graders. 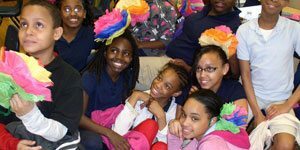 Students from Bass Elementary (the Academy is a long term Partner in Education with Bass) enjoyed a weeklong Art Camp in early December. And Step with Links students attended an African Mask clay workshop with artist Mona Williams in January. 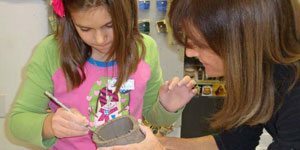 Offsite the Academy with funding from Genworth has offered afterschool enrichment this school year at both Heritage and Marvin Bass Elementary in art, clay handbuilding, and digital photography. Classes at both schools were facilitated with help from 21st Century Grant coordinators. The Academy of Fine Arts welcomes school groups of all ages to its three galleries on the Academy property. 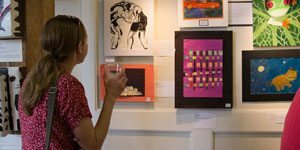 Exhibits change monthly and feature an array of artwork from local, regional and national artists, as well as two annual national juried shows. Media includes (but is not limited to) oils, pastel, watercolor, acrylic, graphite, glass, wood, sculpture, photography, clay and digital. Contact Ted Batt to schedule a tour. Attend a Show for Free! The Academy is pleased to invite groups from all stages and ages to attend the children’s summer theatre camp dress rehearsals. Do you have a group of kids in your camp and want to give them a different enrichment opportunity? If so, give Kelly Allen a call and we’ll see if we have openings!